Sunny. Warmer. High 74F. 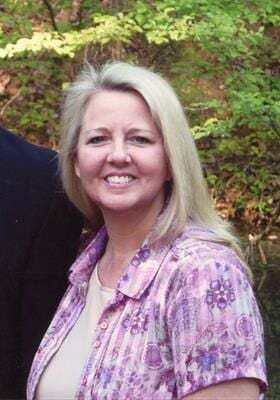 Winds NW at 5 to 10 mph..
Mrs. Sandra Ann Trotter Clayton, age 53, of Aragon, passed away Saturday, February 23, 2019, at her residence. Mrs. Clayton was born in Floyd County, GA on October 21, 1965, daughter of the late Irby Ray Trotter, Sr. and the late Ruby Freeman Trotter. She was also preceded in death by a sister, Melissa Gail Trotter. Mrs. Clayton was a 1983 graduate of Pepperell High School in Lindale. She was employed with Knight's Jewelers here in Rome for over 27 years. She was a loving mother and grandmother. Her children and grandchildren were her life. She attended Pleasant Valley South Baptist Church. Survivors include her husband, Danny LaVaughn Clayton, to whom she was married on June 15, 1984; a daughter, Davanna Clayton (Chance Conkright), Armuchee; a son, Davaughn Clayton (Ana), Lindale; 2 grandchildren, Ezra and Tegan Clayton, both of Lindale; 2 sisters, Wanda Smith (Jimmy), Cedartown, and Tamra Trotter, Rome; 3 brothers, Irby Ray Trotter, Jr. (Carla) and Joe Trotter (Lisa), all of Tennessee, and Mark Trotter (Jamie Olidge), Texas; nieces and nephews. Funeral services will be held on Monday, February 25, 2019, at 2pm in the Chapel at Henderson & Sons Funeral Home, South Chapel, with Dr. Philip May officiating. Interment will follow in Pleasant Hope Baptist Church Cemetery. The family will receive friends at Henderson & Sons Funeral Home, South Chapel, on Monday from 12 noon until 1:45 p.m.
Pallbearers are requested to assemble at Henderson & Sons Funeral Home, South Chapel, on Monday at 1:30 p.m. and include: Joey Smith, Austin McCain, Eric Little, Darrell Noble, Sean Smith, and Chance Conkright.